Rajneeti from Penguin Random House India will hit the stands in May and is currently available for pre-order on e-commerce websites. Union Home Minister Rajnath Singh's biography by film historian and author Gautam Chintamani will hit the stands next month. The book 'Rajneeti' from Penguin Random House India is also available for pre-order on e-commerce websites. According to Penguin Random House India, Rajneeti chronicles Singh's career spanning nearly 50 years in which he emerged from the grassroots and made it to the top echelons of power on the basis of their hard work, grit and determination. Like most of India's present political dispensation, Rajnath Singh, too, emerged post-Emergency, the twenty-one-month period between June 1975 and March 1977, often described as the darkest phase in independent India's history. Yet Singh stands apart from many of his contemporaries as he continues to remain committed to the ideals of social justice, political equality and civil liberty," said Gautam Chintamani. "In a career spanning fifty years, Singh has come to embody a certain standard in public life where principles do not change with prevailing circumstances, and he strives to constantly mend bridges as well as find common ground across party lines. What propelled me to write this book was the desire to tell the story of a politician, who, unlike most other politicians, never shied away from doing the right thing, irrespective of the opposition." "As a biographer, in Rajnath Singh's life, I found a rare instance of a politician in contemporary India who has traversed the entire spectrum of the political journey. In this odyssey, Singh has both witnessed and played a significant role in shaping the history of India. A naturally pragmatic person who rarely dwells in the past, Singh's life also offers the younger generations great insight into the struggles undertaken by men and women to deliver on the promise of making India a world leader," he added. Singh had emerged from being a humble swayamsevak in the Rashtriya Swayamsevak Sangh to the chief minister of Uttar Pradesh and even served as a cabinet minister in the Vajpayee government. Jailed during the Emergency, Singh was the president of BJP's youth wing - Bharatiya Janata Yuva Morcha. 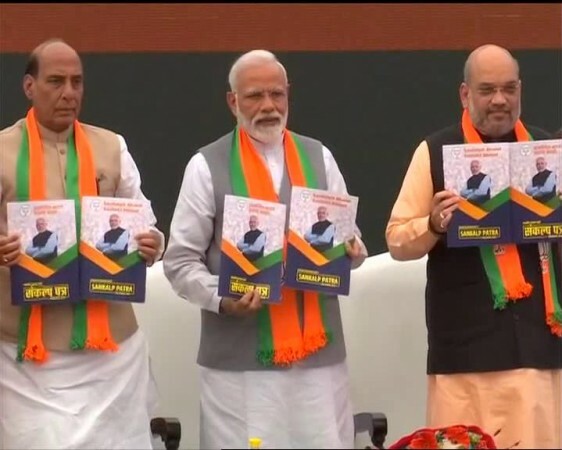 A two-term president of the BJP, Singh witnessed the elevation of Narendra Modi as the party's prime ministerial candidate and delivered BJP's biggest election victory in 2014. 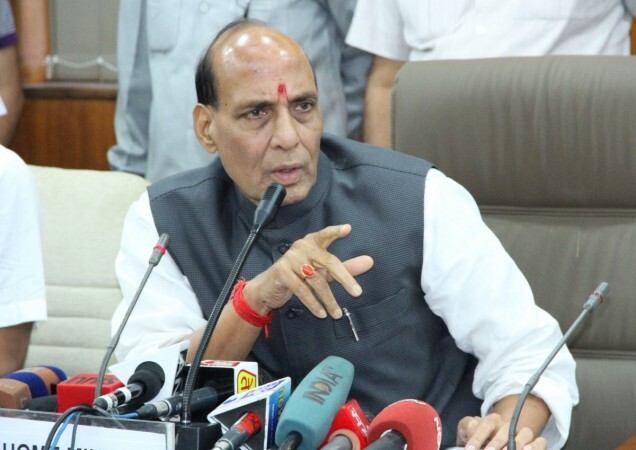 Since then, as the Union Home Minister, he has ushered in a new phase in the country's security where both internal and external threats have been minimised. Under Singh, the threats from Naxalites and Maoists have significantly decreased and Jammu and Kashmir saw its first local body elections in over a decade. 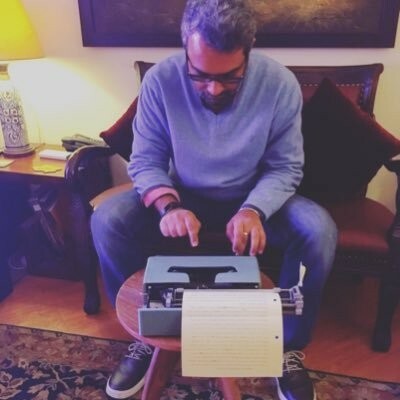 Gautam Chintamani hails from a literary tradition that runs deep on both sides of his family — the late Telugu poet Arudra is his maternal grandfather and the liberal thinker Sir CY Chintamani is his paternal great-grandfather. Gautam's documentary film SRI: Challenging Traditions, Transforming Lives had won the Best Documentary Award at the Asia Pacific Rice Film Festival, Malaysia. His trilogy, Janam–Aagazh–Parvaaz, on the journey of children with special needs and their parents was screened at the 2011 International Film Festival of India (IFFI). His notable television credits include Siddhanth, a law series which garnered an Emmy nomination in the 'international drama' category — a first for an Indian television show. Gautam's writing has featured in national publications, including a compilation on Dadasaheb Phalke awardees published by the Ministry of Information and Broadcasting, Legends of Indian Silver Screen. He was on the National Film Awards jury for Best Writing on Cinema in 2016.